These kinds of crossroads are PERFECT for gifting yourself SHIFT-IT Online … a 7-week online coaching group to gain clarity about who you are now. 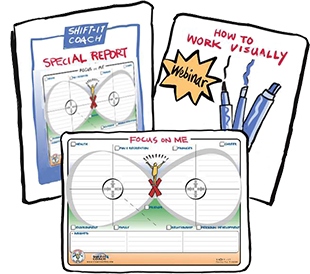 I’ve led SHIFT-IT experiences for 14 years now … helping to pioneer the growing niche of Visual Coaching. 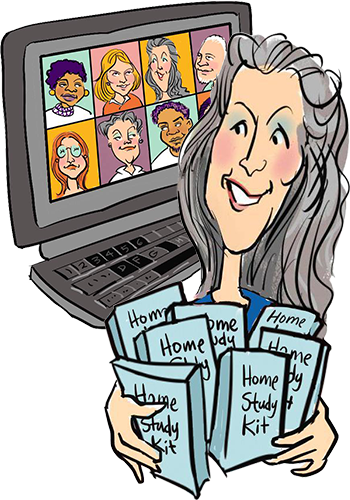 What began as special huddles in my living room have morphed to a global living room … where folks from around the globe (using easy webinar technology) gather to go deep within and support each other through The SHIFT-IT Process. You can keep things private or be as open as you like. This special experience allows you to see your past, present and desired future. To identity and bust through limiting thinking. And to organize yourself into a clear action plan. Yes, it’s visual — we use 14 Visual Maps over the course of the program. However, underneath … it’s all about FEELING and ENERGY. Helping you figure out what FEELs best to YOU at this special time in your life and aligning with it. When you do, it’s the energy that moves worlds! 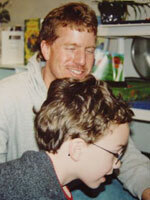 I’VE EMPLOYED CHRISTINA MERKLEY AS MY COACH ON-AND-OFF SINCE 1998. P.S. In 2014, after another round of SHIFT-IT coaching, Tim and his partner John launched runScribe … opening with a successful Kickstarter campaign that raised 5Xs their original seed goal and garnered volumes of industry press. MYSELF ON THE WAY TO BECOMING MY NEXT SELF. 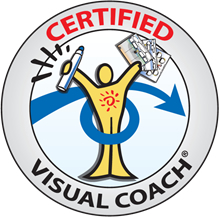 “My goal is to become a Certified Visual Coach® and part of certification is to experience The SHIFT-IT Visual Coaching System® as an individual from the inside-out. Because I am a Process Professional, have coached for several years and regularly spend quality time on self-reflection, I didn’t expect any “new” information to emerge. I was incorrect. 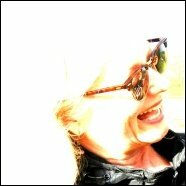 Christina has created a process for deep, personal self-reflection while facilitating a safe space for an on-line community of kindred spirits to hold conversations that matter. My greatest ah-ha dealt with ‘focusing’. You cannot desire something, predominantly focus on the absence of it; then expect to receive it. 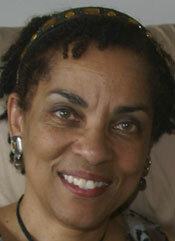 Yet, that was my re-occurring practice, in both my personal and professional life. Now when those thoughts come up, I immediately recognize the ensuing feelings; then stop and re-direct my thoughts to focus on what I do want and desire in my life. 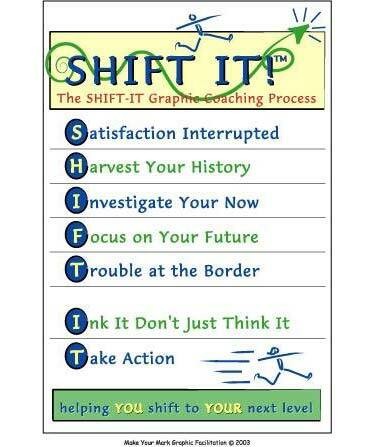 As Karen mentioned, SHIFT-IT is a pre-requisite for Visual Coach Certification … for coaches, therapists and other professionals who want to use this powerful process and maps with your own clientele. This is the LAST CHANCE to attend SHIFT-IT before Certification 2017 starts in April. So get your prerequisite now! Looking forward to another fabulous round of SHIFT-IT! See you online on Saturday! P.P.P.P.S. For a full roster of 2017 classes, products and private coaching and training click here.